Yum!!!! 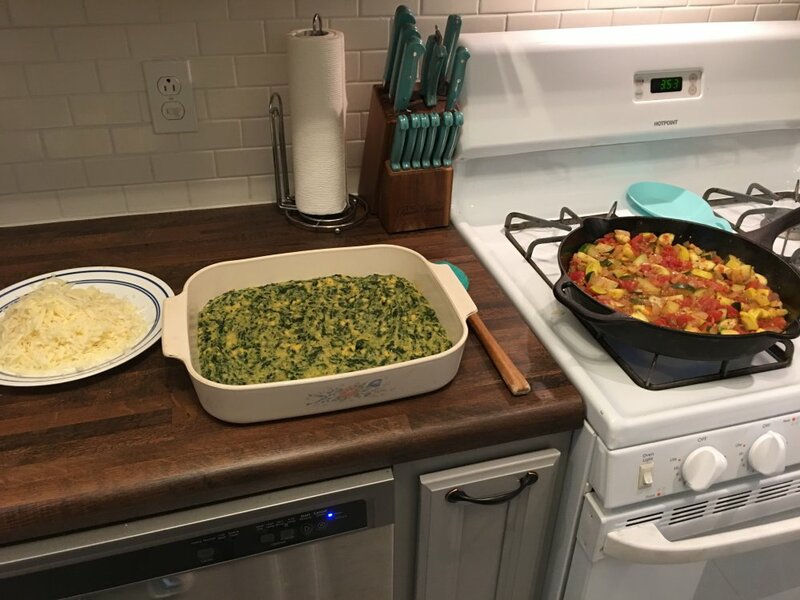 I just made this vegetarian recipe. Kind of threw it together on my own getting the idea and ingredients from another recipe. 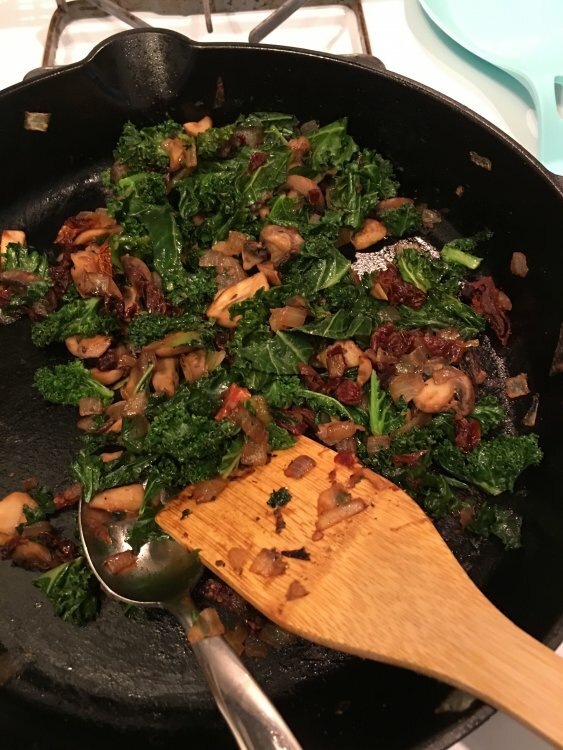 So I sautéed an onion, mushrooms, sun dried tomatoes, and kale. Added salt and pepper and feta cheese. Didn’t even think about garlic...man, that would have been good. Anyway, I whisked some eggs and thinned it out with some almond milk. 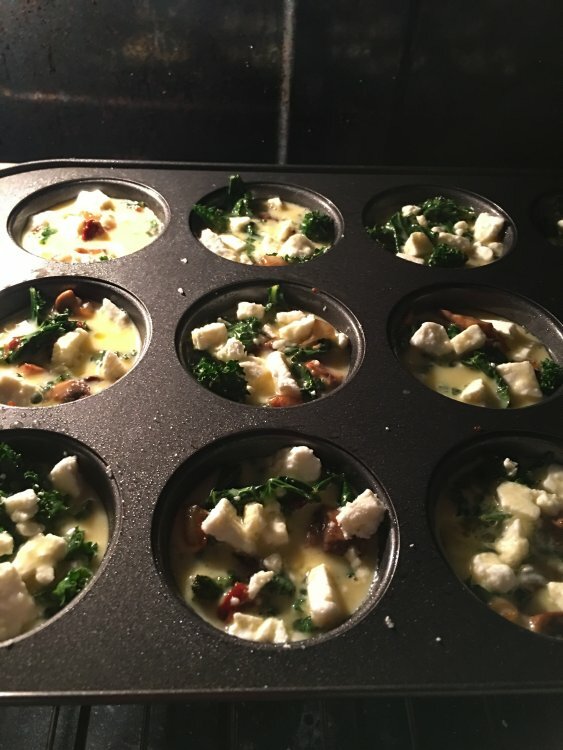 Sprayed the muffin cups and filled them with the veggies and added approximately 1/4 cup of the eggs in each cup, maybe a little less. The first batch I put the cheese on top (see pic). The second batch I mixed the cheese with the veggies for more we’ll rounded tasting bite. Baked for about 20 min on 350. My thrown together recipe made 24 of them. They’re cooling off and waiting to go in the freezer. I managed to try one (I say that cause I had already eaten) and did but without being super uncomfortable (I still haven’t learned!!!). It is sooooo good. 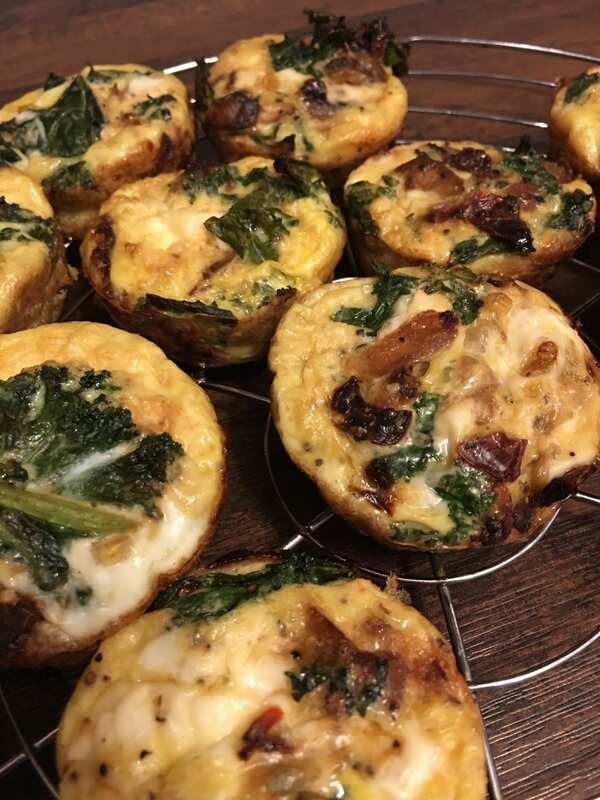 Nice and easy meal prep for breakfasts, that’s for sure! 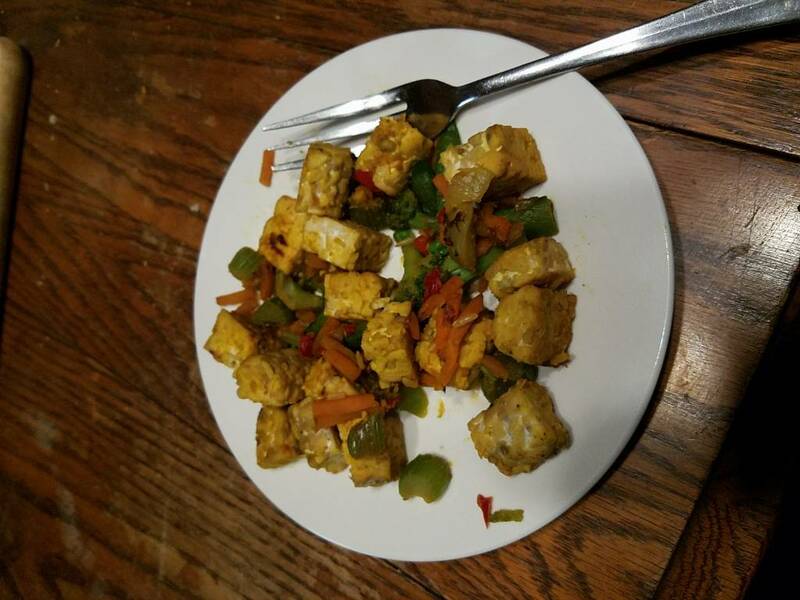 Made tempeh with some mixed frozen veggies, added a splash of bragg aminos, garlic, tumeric and ginger powder. A very yummy salad. I used feta cheese and added mandarin oranges. Could totally be vegan omitting the cheese.